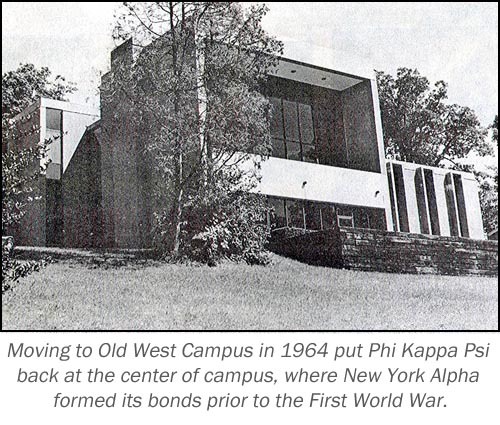 Phi Kappa Psi - 50, 100, or 150? You Decide. The actives really need to use their funds for the operating budget, keeping up with repairs, and phased replacement of furnishings, carpet, etc. The major problem is that one-third of the rent goes to the mortgage, leaving the men too little to perform needed upgrades. We are not making significant progress against the principal of the loan. A well maintained house is critical to attracting pledges, but also important to encouraging our own upperclassmen to live in the house and provide needed leadership. Therefore, I would like us to retire the debt, keep rent at a competitive level, and establish a sustainable capital base to maintain, and even improve, the infrastructure. We have roughly 1,100 reachable living alumni. If we can achieve 30 percent participation rate, he will match 50 percent of the gifts. If we can achieve 40 percent participation rate, he will match 100 percent of the gifts. If we can achieve 50 percent participation rate, he will match 150 percent of our gifts. The purpose of this letter is to ask your help in meeting the challenge. 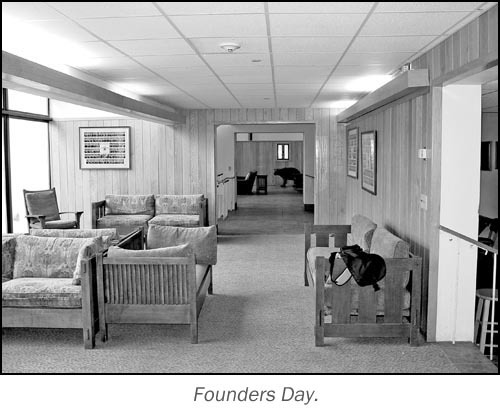 A little over 60 percent of us contributed to the Gables Campaign of 1994, which allowed us to renovate the original residence and add 10,000 square feet of new construction that updated our facilities to meet the objectives of the undergraduates. In doing so, we united the 60-plus years of living alumni in our ranks. Even though our campaign was successful, the board authorized a mortgage to secure additional funds in order to complete the project as designed. After 16 years of paying down the mortgage, our goal now is to retire the debt. We came from different times and from very different “Cornells.” But we joined together to make ourselves the leader of Greek Life on the hill. And we are the leader. Our pledge classes have been the best and they deserve a house they can be proud of, and one that can be maintained with the funds they provide. 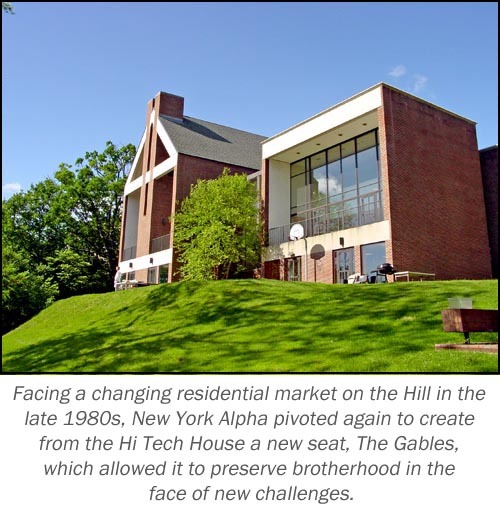 Fraternities that were old stalwarts have collapsed and recolonized since 1998—we and Alpha Delta Phi have been the sole stars on the hill and we should solidify our position. So, as we burned the mortgage of Old Three Twelve 60 years ago, and Ho Ballou’s (’22) mortgage 30 years ago, the time has come to retire this one. 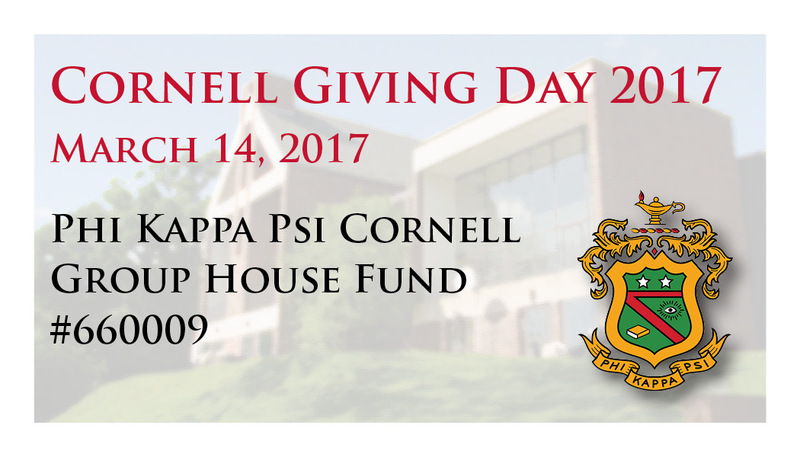 Beginning with Cornell Giving Day 2017 and ending at Cornell Giving Day 2018, join us in taking Phi Kappa Psi at Cornell to the new level. We have alumni who are leaders across the world, and I have confidence they will recognize the importance of this time and meet this challenge. 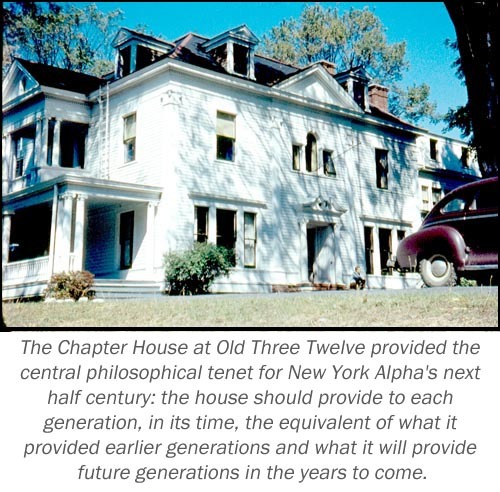 In the end, we know that our success lies not in events transpiring outside our walls, but rather how we—the men of New York Alpha—master and excel in the world those events create.